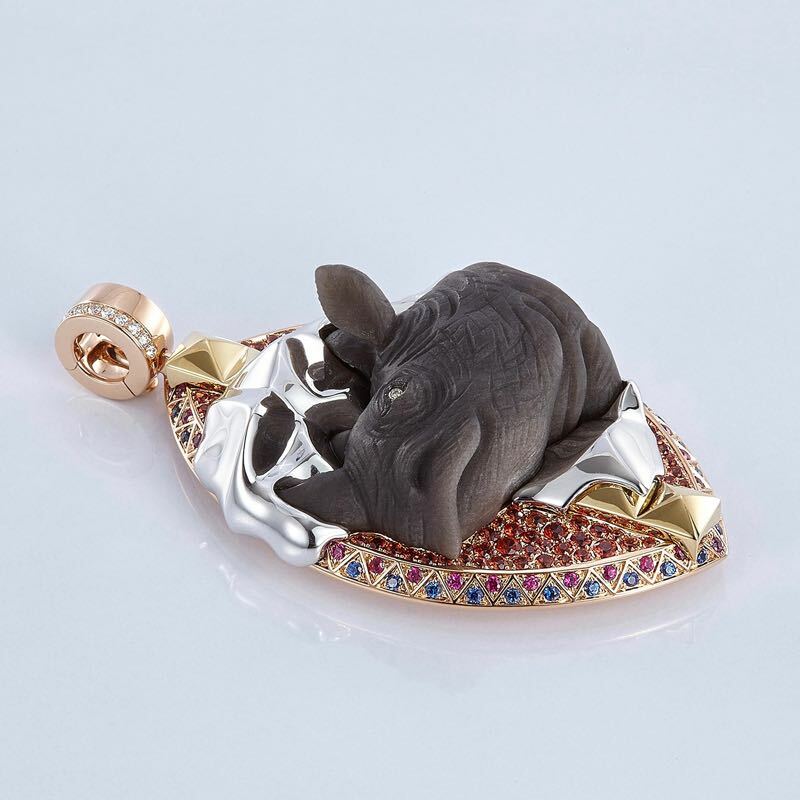 Warrior Pendant Rhino. 2017. 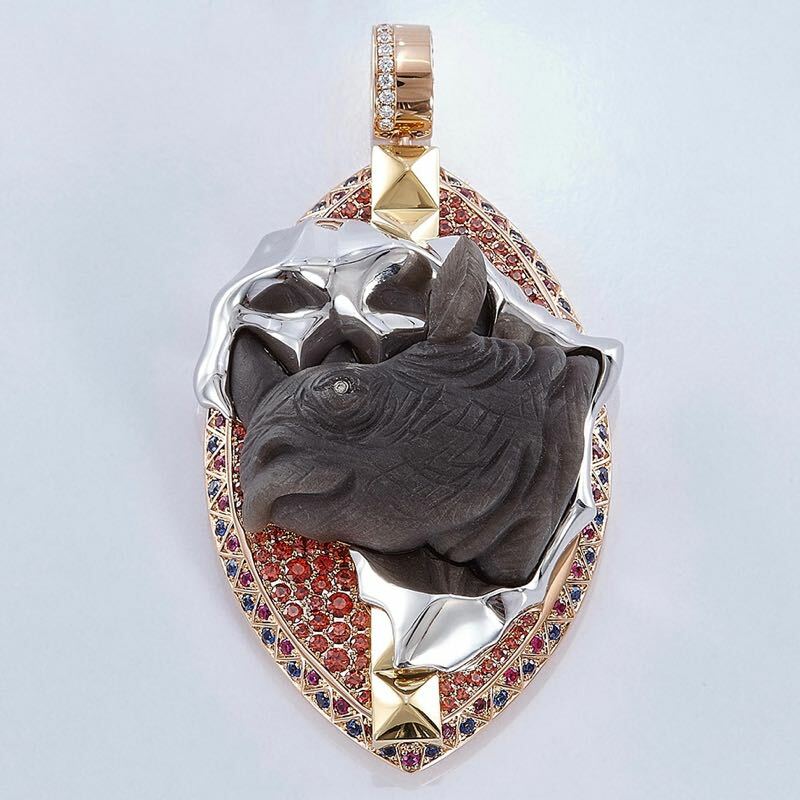 A life-like carved African Black Rhino head in grey obsidian is set into an 18 Karat white gold base shaped as the African continent and embedded in a Masai tribal warrior shield made of 18 Karat yellow decorated with gold with Sapphires and Rubies. The hoop at the shield is made of 18 Karat rose gold set with Diamonds, and in its form is inspired by Cadeaux Jewelry’s Hamburg collection. The Obsidian carving is by master gemstone cutter Stefan Klein of Idar-Oberstein, Germany.